Two Russian lawmakers from the Liberal Democratic Party have proposed that Russian citizens be allowed to join political parties from the age of 16, saying the measure would boost an interest in politics among the younger generation. The sponsors of the bill are the youngest members of the Russian lower house – Vasily Vlasov is 21 and Boris Chernyshov is 25. In an explanatory note to the draft they acknowledged that the existing law allows young people from the age of 16 to join youth branches of political parties, but noted that this is not enough to push the younger generation towards a more active political position. The lawmakers also write that allowing actual partisanship from an earlier age would make teenagers more patriotic. “Young people’s participation in the political process can instigate their parents, relatives and friends to follow suite, due to the fact that the young people are a very socially-active part of the population,” they stated. This is not the first time the Liberal Democratic Party of Russia (LDPR) has attempted to lower the age of political participation. In 2014, its lawmakers proposed to allow citizens’ participation in elections at all levels from the age of 16 (leaving the minimum age of candidates unchanged, 35 years for the president and 21 years for lawmakers). They explained the motion as driven by modern young people reportedly being much better-informed about politics and the latest news than the national average. 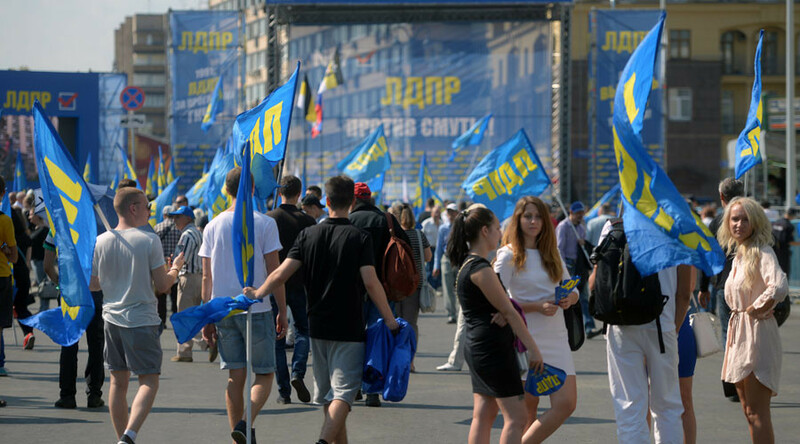 In addition, the LDPR theorized that dropping the voting age would prevent the young people from taking part in political protests organized by various manipulators. The 2014 motion was been rejected by the State Duma on the grounds that partisanship required full legal and civil responsibility, which in Russia comes at the age of 18. In early December 2016, the LDPR drafted a similar bill saying that it wanted to “pump fresh blood into politics,” and make young people more politically-active and the rest of the citizens more responsible. This motion has not yet been considered.